I noticed last week that heathland improvement works were planned by Walsall’s Counctry Services team – that’s the rangers I’ve posted so much about lately – at Shire Oak Park Local Nature Reserve in Brownhills. Knowing that coppicing and tree removal operations have caused controversy there before, I thought I’d ask ranger Colin Manning to explain to readers what the work was all about, and supply contact information so that those with queries could get in touch with him. Shire Oak Park Local Nature Reserve is a former quarry, and shows a startling variety of species. Imagery from Bing! maps. Click for a larger version. Heathland management is essential to maintain the biodiversity of the site, and this is just one of the jobs that the Countryside Services team at Walsall Council undertake, largely unseen by the general public. Were this not to occur due to lack of staff, the park would soon deteriorate, and many of the species of flora present there – and perhaps fauna, too – would be lost. I implore anyone who isn’t aware of the cuts that are threatened to this vital service to read about them, visit the campaign blog, peruse some of the great comment from the online community, and ultimately sign the protest petition. Colin’s work, like that of the rest of the team, is keeping Walsall green and pleasant. 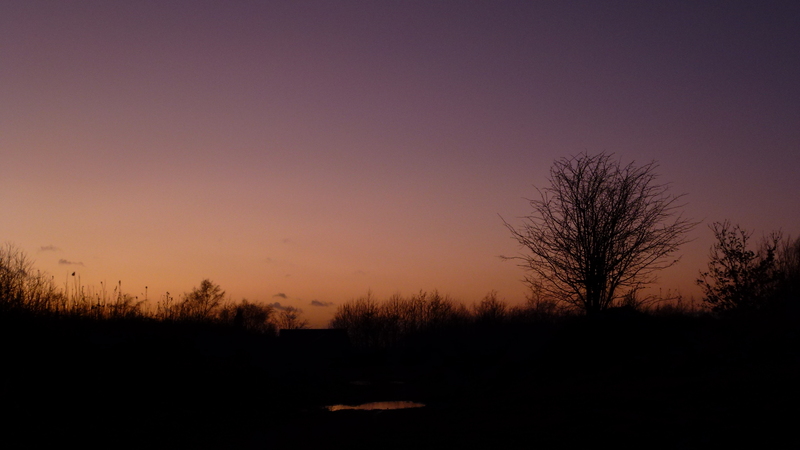 If you haven’t been to Shire Oak Nature Reserve, please do visit. It just goes to show what can be done with a post-industrial site. Like many of Walsall’s green lungs, Shire Oak Park is remarkably quiet and peaceful. Many thanks for offering to put this onto your blog. I have attached the outline for this years work. Lowland heathland has declined in Britain over the last 200 years due to increased urbanisation and development, improvement of rough land to farm land (whether arable or pasture), mineral extraction, enrichment from runoff, lack of management resulting in woodland or rank grassland. Heather itself is no longer used in the ways it used to be. 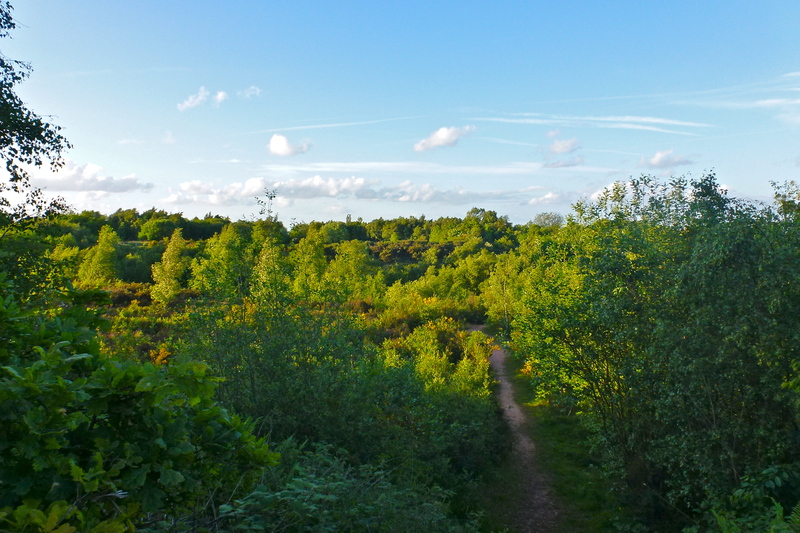 Lowland heathland is also an internationally rare habitat. There used to be a swathe of mixed habitat of heathland, grassland, farmland, wetland and woodland from Cannock Chase right through to Sutton Park. Over the years this has been fragmented and gradually disappeared with the exception of a few pockets between these two big areas which include Hednesford Hills, Gentleshaw Common, Barr Beacon, Chasewater and Brownhills Common SSSI and more recently Shire Oak Park. These interconnecting areas are extremely important for the plants and animals that rely on them. I love this spot. After I was ill with food poisoning last New Year, this was one of the first places I came when I could get out of the house again. 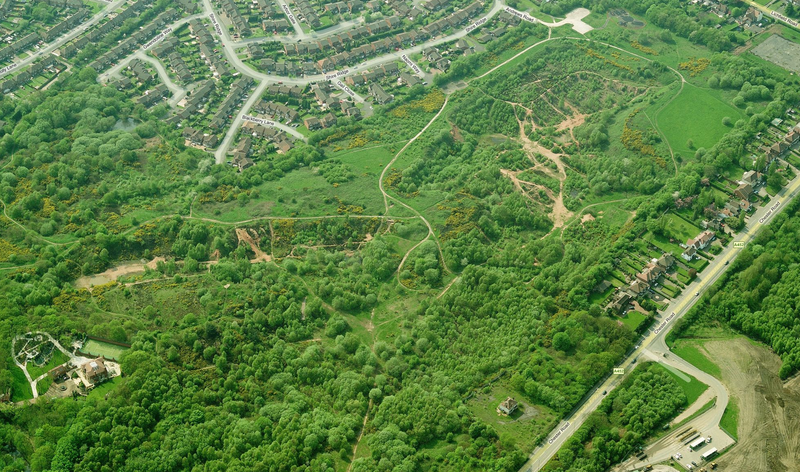 After the quarry was abandoned in 1978, there was a period of redevelopment which involved tree planting and landscaping as well as the infrastructure of paths and car park that we see today. Being a sand and gravel quarry, heather (and other heathland plants such as gorse and broom) soon started to colonise the bare sandy ground as well as birch trees. Some heathland species (particularly heather) are relatively slow growing in comparison to trees and so do not compete very well, becoming shaded out, with the woodland becoming dominant. They then disappear. The nature reserve is split into two broad areas with the aim of achieving broadly heathland in the northern section and woodland in the southern section, with a mix of pockets of bare ground, scrub, grassland, wetland, ponds and marsh throughout these areas. It is this mosaic of habitats which makes the place important. Many people have been visiting for many years before it was public open space and some helped to plant trees which we are now cutting down, which is a shame. Many visitors support the work the Countryside Services undertake there although it is impossible to please all of the people all of the time. 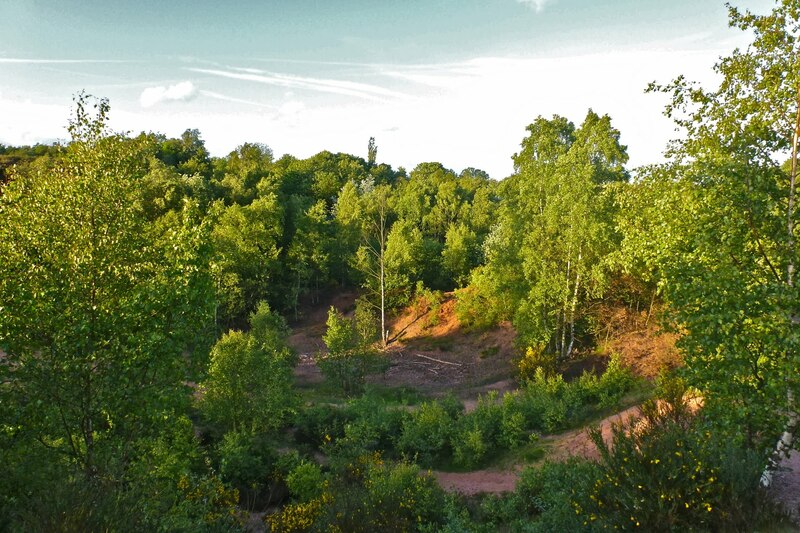 As a former sand and gravel quarry, the park provides a habitat that’s very uncommon in Walsall. We have been managing the heathland there since the 1990’s (although I have only worked here since 2003) and I have tried over the years to help people understand what we do there and why. However, I am still very aware that there is still some way to go. The work planned for this winter is centred around established heathland and areas where the heathland will improve when competition from trees is reduced. There is a focus on removing small trees and regrowth from trees that have been cut down in the past to help the heathland establish properly. Once heathland is established it can hold its own against invasion from woodland with relatively little management. The work we do is supported by Natural England, the Government department for the natural environment and they contribute towards this work to ensure that this valuable habitat is retained and improved. I hope that you can use some of this without losing the context for your blog. I think that part of the complaints we receive about our management is that the site is still very young ecologically and so will change dramatically over the next few years no matter how we manage it. We are trying to manage the change in a positive way for people and biodiversity and haven’t always communicated this in the best way. If you would like further comments or clarification then please get in touch again. This entry was posted in Brownhills stuff, cycling, Environment, Events, Followups, Fun stuff to see and do, Interesting photos, It makes me mad!, Just plain daft, Local Blogs, Local media, Local politics, News, Reader enquiries, Shared media, Social Media, Spotted whilst browsing the web, Walsall community, Walsall Council, Walsall Wood stuff, Wildlife and tagged axe, Blog, Brownhills, Canal, Chasewater, Chasewater Wildlife Group, Cheap tat, Clayhanger, Colin Manning, Countryside Services, cuts, Cycle rides, cycling, Events, Facebook, Kevin Clements, local blogs, Local History, Local Nature Reserve, Local politics, Mike Bird, Morgan Bowers, New Photos, Park, Petition, Politics, Shire Oak, Silly, Things to do, threat, Twitter, Vandalism, Walsal Wildlife, Walsall, Walsall Council, Walsall politics. Bookmark the permalink. thank you for highlighting our super..precious..local parklands. The beauty that we have.in these places, transformed from desolate derelict former industrial sites..is a tribute to the whole teams of people involved. Signing the petition has been a pleasure! Colin and the team do a great job with little resources. Walsall Council look after them please.